The Challenge- A local college is faced with the challenge of reaching students that cannot come to the campus to take courses. 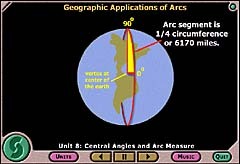 Internet based courses cannot use rich graphics, audio and video because of slow modem connections. Text based courses are perceived by students as a low quality alternative. 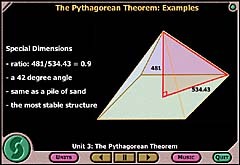 The Solution- DDM developed a series of mathematics courses on CD-ROM that used voice, animations and graphics to spectacularly demonstrate course concepts. 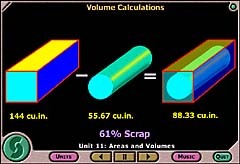 Rather than being forced to learn from text and static graphics, the CD used animations to build concepts from abstract principles. The instructor interacted with students taking the course via e-mail and telephone and met with them only for periodic testing. The Results- The courses have been well received and the college has recouped most of its development costs in one year. 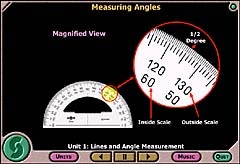 The college has been able to reach students that would normally not take the courses. The CD has proved so beneficial that students and instructors are using the CD in the traditional classroom environment.